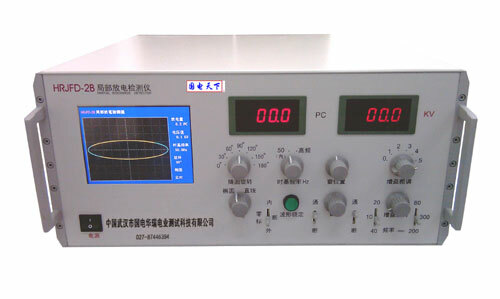 This type of equipment is used for measuring the dielectric loss and capacitance of condenser of the various kinds of high voltage electric power equipment as a substitute for the QSI electric bridge. Main features: There are PT inside and the high voltage standard capacitor making the wire connection easy. 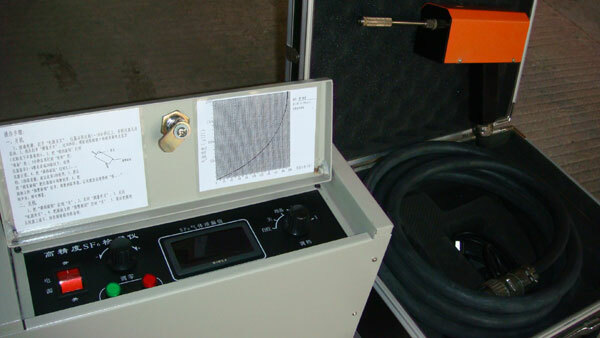 This equipment is made by adopting the testing theory of photo coupling data sampling and connecting the vector operation with the dephasing and the inverse method. It can eliminate effectively the disturbance in the electric field. It can be used quite well on the spot and has the best performance with the lower price among the same type of production. The instrument is the patented product as the transformation from the achievements in scientific research. 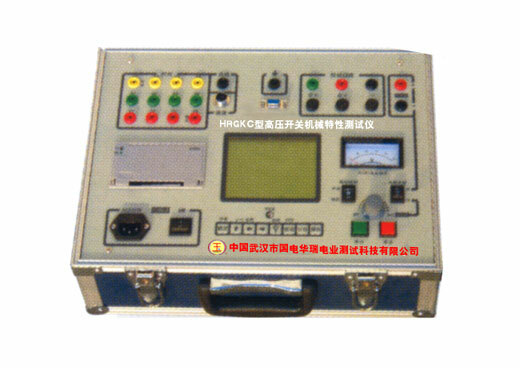 It is the best SF6 leak detector equipment in China. The equipment is endowed with the strengths from Germany and Japan’s experience and overcomes weaknesses. 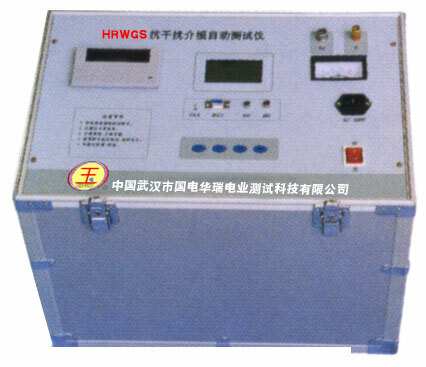 This instrument can be applied to the leak hunting of the SF6 switches in the power supply department, the SF6 high voltage switch gear factory and the electric testing and researching institute. It is also can be used as the assorted equipment of the electric device and export product for the SF6 high voltage switch gear factory. HRLF-ID Digital High Precision SF6 Gas Leak Detector is the optimization product of our company which is latest upgraded and designed. It has the advantages of the high sensitivity and stability. The testing operation is simple, direct, fast and with a high response speed. The search unit will never be poisoning and cause poisonous gas. The high degree of automatic instrument can display the gas strength by liquid crystal screen which makes the reading data more convenient and accurate. When there is different strength of SF6 gas and other halogen gas in the air, the ionized degree of the mixed gas will be different under the effect of the electromagnetic field of high frequency. This instrument is mainly applied for the leaking finding of equipment and container which are filled with the SF6 and other halogen gas in the ministry of water conservancy and electric power, the manufacturing engineering of electronic device, and the metallurgy of iron and steel, the petrochemical industry, the railway transportation, the mining industry, the extinguisher apartment and the atomic physics research institute. The HRDWS-IIC Digital High Precision SF6 Minim Water Admeasuring Apparatus is the new type instrument with a high degree of automatic which belongs to the HRDWS-Ⅱseries. It is made by adopting modern advanced digital measuring technique and optimal gas circuit with producing experience for many years. It has much improved the reliability of instrument and the convenience of usage. This instrument can be used continuously and discontinuously for measuring the minim water. Compared with the other kinds of water analysis methods, this instrument can be a simply, direct and fast way for you to analyzing featuring strong stability and good repeatability. This instrument is applied for air, nitrogen, argon, hydrogen, oxygen, sulfur hexafluoride and the gases which are not reactive with the phosphorus pentoxide. It is also can be used to express analyzing, automatic monitoring and exact measuring the water content in the gas at the ministry of water conservancy and electric power, the manufacturing engineering of electronic device, and the metallurgy of iron and steel, the petrochemical industry, the railway transportation and the mining industry. Remarks: The range of 1000~2000 is not used for measuring. 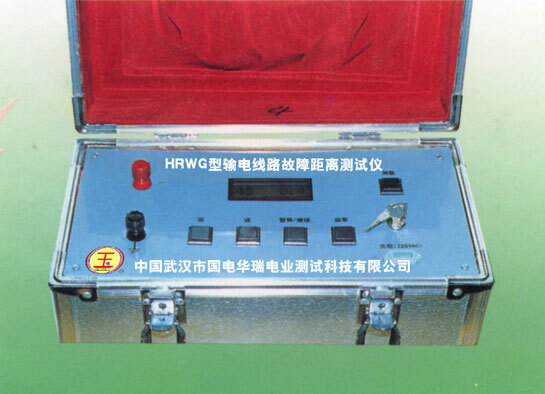 The HRJFD system has carried the ultrasonic measurement to the local discharge of the hundreds of transformers and reactor in Gezhou Dam 500kV switch station, Wuhan Phoenix Mountain 500kV transformer substation, Shengyang transformer factory, Hefei transformer factory, Hengyang transformer factory, Guangzhou power supply bureau, Hunan electricity generating board, Chongqing transformers factory and Wuhan steel. This system has the advantage of operation reliable and easy to operate. It can meet the needs of measurement. As one of the key items of the of eight-five project, this electrical device has been widely used for the spot test and research in the related unit in the north, east, central and northwest parts of China. The system has functions of hundred-percent process controlling mode and menu prompt in Chinese character. It can access and print arbitrarily. It can automatically generate survey reports and display two-dimensional and three-dimensional local discharge atlases. It is made by adopting the skin window technique and has a good capacity of resisting disturbance. It takes the techniques of two channel measurement and digital difference technique which is able to measure the local discharge signal of two samples or the two testing point of one sample. That is convenient for analyzing the origin of the local discharge signal. This product is the national key scientific and technological project and the extension project of the ministry of electric power. It has been tested in hundreds of transformers such as the Gezhou Dam 500kV switch station, Wuhan phoenix mountain 500kV transformer substation and Shenyang transformer factory. It is reliable and easy to operate. It is specially applied for measuring the local discharge of the eclectic devices such as the transformer, the electrical motor, the mutual inductor, the capacitor, the cable, the GIS, the switches and the lighting arrester. The performance is complied with the standard of IEC-270 and GB7354. It has the hundred-percent Chinese software and the menu mode operation. The measurement and analysis of the local discharge graph data can be arbitrarily accessed and printed. It has two channels and can produce test report automatically. It has many colorful display modes those are ellipse, straight line, two-dimension and three-dimension. This system is specially applied for the field and spot check work in the electric equipment manufacturer, electricity generating and supplying department, electrical power construction, electrical installation and debugging construction enterprises. It is very convenient for measuring and fixing the database which is easy for further analysis and management. The failure testing and positioning of operating the medium and large sized transformers have always been the points that electrical engineers focus for a long time. 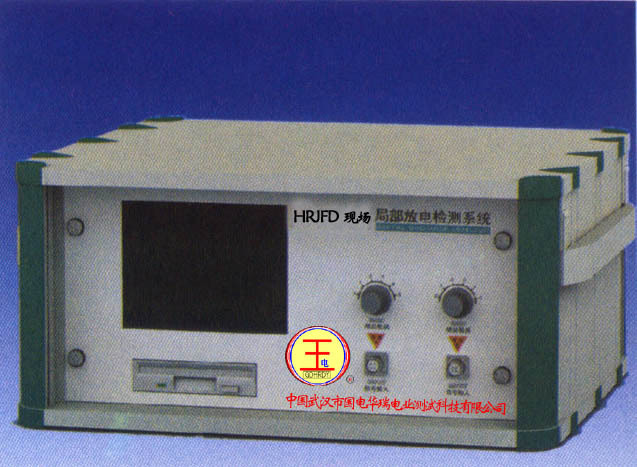 The HRJFD-2A system, manufactured in the large-sized transformer local discharge ultrasonic position method and equipment research subject which is one of the national key scientific and technological project has provided an effective solution. The HRJFD-2A system has carried the ultrasonic measurement to the local discharge of the hundreds of transformers and reactor in Gezhou Dam 500kV switch station, Wuhan Phoenix Mountain 500kV transformer substation, Shengyang transformer factory, Hefei transformer factory, Hengyang transformer factory, Guangzhou power supply bureau, Hunan electricity generating board, Chongqing transformers factory and Wuhan steel. This system has the advantage of operation reliable and easy to operate. It can meet the needs of measurement. As one of the key items of the of eight-five project, this electrical device has been widely used for the spot test and research in the related unit in the north, east, central and northwest parts of China. 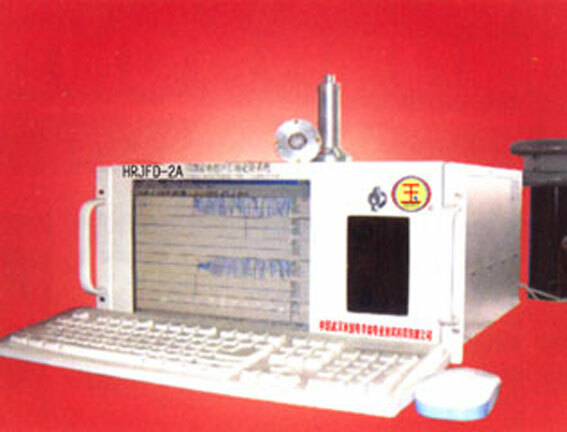 The HRJFD-2A ultrasonic positioning system which is including the high performance computer, high-sensitivity local discharge sound probe, programmed amplified filter, high-speed A/D transducer, transient waveform recording, signal analysis and fault location software is applied for acquiring, measuring, analyzing, positioning and spot observing the local discharge ultrasonic signal in the large-sized transformer, oil-immersed high voltage electrical apparatus and the GIS electrical operation equipment. The HRJFD-2A ultrasonic positioning system can position the fault and the error is less than 250mm. The whole measuring system can find out the local discharge ultrasonic signal which is less than 1000pC. (1) Making the detecting operation of local discharge ultrasonic more convenient and the analyzing more simple under the platform of the windows. (2) Making the signal acquired more reliably for the ultrasonic sensor has the performance of low noise, high-sensitivity and anti-jamming. (4) Making the result of the position more precisely by choosing freely the spherical position calculation and the hyperboloid position calculation of the ultrasonic signal. (5) Showing the position coordinates by ultrasonic probe and the locating point by solid geometric drawing. (6) Convenient for building the measuring and positioning database for further analyzing and managing. (7) Be the local discharge on-line detecting instrument which is useful for detecting the local generating and developing. 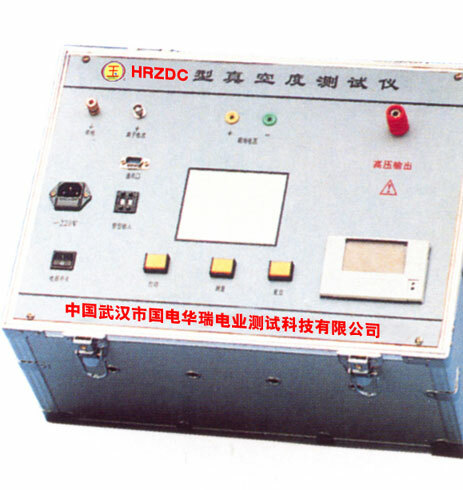 This tester is used to measure time, speed and process of the overstuffed, oil-minimum breaker, vacuum and SF6 high voltage switch and high-voltage circuit breaker. It is also can be used to measure the closing and trip time, the bounce time, the reclosing time, maximum speed and the average speed of the high-voltage circuit breaker. It has the function of the liquid crystal display and print as well as the menu prompt operation. The main characteristics: The measuring vacuum switch doesn’t need to put into the process. It can be tested directly and sensor can be easily installed. This instrument is made by adopting the latest excitability flexible circuit conductor to measuring the vacuity of the vacuum switch automatically without the unloading. The operation is simply and reliable. It can be used in many kinds of vacuum tube. (1) It can quantitatively measure the vacuity of the vacuum tube as much as 35 curved shapes. (2) It has the function of leaking detecting. (3) The useful time can be speculated from the historical data. (4) The internal of the instrument has been stored the arc extinguish chamber. You can read directly without unloading. (5) The band and surface type printer can put out the printer. (6) This series has been divided into two kinds of instruments which are loading and unloading. (7) The unique function: The instrument can judge the three situations of the vacuity which are eligible, declinable and fully leakiness. This is used for locating various faults of the cables for the city cable, high frequency communication cable, buried cable and medal overhead cable line. The faults include open circuit, short circuit and poor contact. It also can be used to telemetry the position of the fault, including the leak grounding, wire breaking and poor contacting. 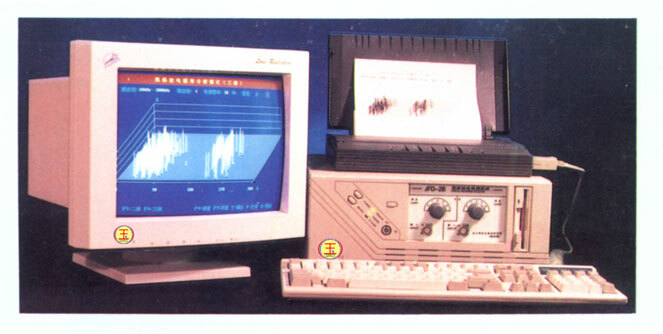 The instrument adopts many testing methods and the most advanced electron technology fruits as well as the computer technology and the microelectronic technique. 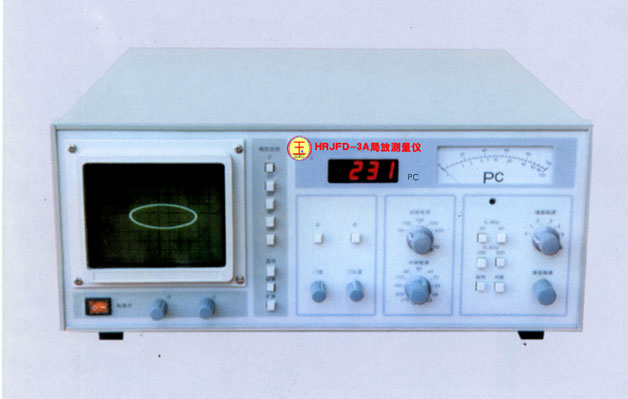 It has a high degree of intelligent, a full function, a large range of use, an accurate testing, a convenient operation and alternating-current power or direct current power source. It is especially suitable for testing different types and grades voltage cables. The tester is used to measure the distance between the fault point and the measuring point when the permanent earth or turnoff happened in the overhead transmission line. It is applied for the 35kv and the voltage grade above. You can tell the fault distance exactly only by examining and fixing the fault line in the transformer substation when the fault happens. It is very convenient for the maintainer to look up the fault quickly and shorten the emergency repair. copyright @ 2018-2026 GDHRDY.com Inc. All rights reserved. Technology Industrial Park,GuoDian Huarui Technology Building, Wuhan,China.